Now seems like as good a time as any for a new challenge. My last attempt at Strava’s Base Mile Challenge was not serious and I fared poorly (Rank #3243). I had 300 miles while the leader had 3,000. Their new challenge is closer to my wheelhouse. The Strava Climbing Challenge is a lot closer to my wheelhouse. 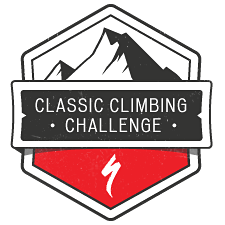 It allows cyclists to compete by climbing as many feet as possible between March 15th and April 30th. I don’t expect to be anywhere near the leaders. Right now the leader has over 30,000 feet climbed (!) while I am close to 1,500 place. In this case I don’t have to win to succeed. Those who reach just over 105,312 feet will receive a Specialized water bottle and a surprise gift. While that’s a lofty goal, it is not out of the question. Since I’m already training for Mount Mitchell and have training rides planned, there are already plenty of climbs on tap. Now that daylight savings time has come, I will also be riding more during the week. That said, this will still be a challenge and I’ll have to squeeze in climbing at every opportunity. .
To accomplish this, I’ll need a good plan. My schedule is pretty difficult to maneuver around, so I’ll only have Tuesdays, Thursdays, weekends and occasional Fridays. Fortunately I have an early work schedule that allows me to ride for over an hour before meeting a group ride. This past Tuesday I managed 46 total miles and about 2,500 feet of climbing. That’s perfect. I’ll also be participating in Assault of the Carolinas and Tour de Lure, which will give me about 5,000 feet each. The training period ends on April 30th, which coincides with a planned weekend at Table Rock with friends. Assuming our legs can survive, we plan on a ton of climbing, perhaps as much as 20,000 feet over the weekend. I mapped out my probable rides in the next few weeks. If they all go as planned, I will get to around 80,000 feet. There should also be a couple additional mountain trips that will get me closer. As for the rest, I’ll just have to grunt it out. When choosing routes, I’ll look for hills instead of flats, however small, and repeat them if time allows. This is a sprint, not a marathon, and it all adds up. If I accomplish this, I should be well on my way to an amazing performance at Mitchell. You couldn’t ask for better motivation. This entry was posted on Friday, March 16th, 2012 at 7:14 pm	and tagged with challenge, climbing, goal, strava, training and posted in Training. You can follow any responses to this entry through the RSS 2.0 feed.